“What are you doing, Mamma?” asked my kid. “Writing about ‘The Future of Shopping’ for eBay and IndiBlogger.” I replied while still glued to my Computer screen. I was checking out the new eBay Check that automatically gives us the best prices on eBay.in for any products we may be looking for. My Kid had been waiting for my attention. I felt guilty that I was focused on eBay all the while…What to do, it’s so addictive! I shifted my head away from the screen to find my Kid had placed something on the chair. “Ah! A Robot! It is so cool! Brilliant!” “Froby?” I asked quizzically. “Oh Mamma! Froby is its name- short form of - Future Robot! “Froby has a Time-Machine?” Did my ears hear correctly? Did she really say “TIME-MACHINE”???!!!! I found I was standing in front of a 40 inch screen. Oh! That’s our TV, right? Its screen had expanded! It now had 24X7 high-speed unlimited Internet Connectivity! “Welcome ANITA ;)” - Message flashed on Screen! Yes, my TV actually WINKED at me!!! Oh wait! This was Biometric Technology! TV had identified me by scanning the Iris of my Eye! I could then touch & feel the icons! Navigation was so easy, sometimes just by moving my fingers in the air! I felt like a Music-Conductor with an imaginary magic-wand! Then, I realized I don’t even need my finger-tips…Just Voice-Commands would do just as fine! Lata Mangeshkar’s Song from the Hindi-movie Kinaara - “Meri Awaaz Hi Pehchaan Hai, Gar Yaad Rahey…” (My voice is my identity if you remember me…) played in my mind! I called out the names of some of my favorite sites. 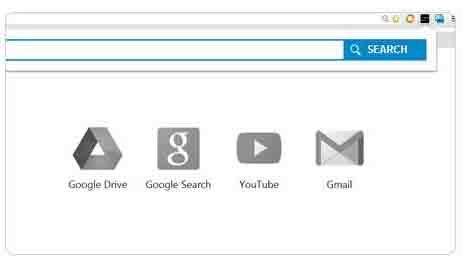 The Search-box got automatically populated. The screen showed up new names of sites as search-result. Most online shopping sites that I searched for, gave the result as eBay. I understood that Darwin’s Theory of the Survival of the Fittest had held true in 2030 too. The number of Online Sites had drastically reduced as the smaller sites had been taken over or merged with Super-sites. I saw the list of the Top e-Commerce sites. eBay occupied the TOP position! It didn’t take me long to realize that we can order just about anything we wish on eBay that too at our own price! Online shopping had got really easy. I just needed to say the name of the product on my wish-list on eBay while shopping online or even just researching a product, eBay got into action and gave me the best price available at that point of time. I even had the option to quote my lowest limit-price, sort of an auction. eBay would ensure the product would be automatically bought and shipped across to my address the moment my bid was available. This was akin to placing orders for Shares in the Stock-Market in 2013. Just log on with our credentials to the Securities Transaction Site, enter details about the Company and number of Shares we wish to purchase and also place ‘Limit Orders’ stating the price we are willing to pay for the same. The moment the said Share was available at that specified price, an automatic Buy was initiated and the same would be credited to our Portfolio. However, in 2013, the Limit-Orders for Shares were valid only till the end of the Business Day. While our orders got carried forward in 2030, till they were fulfilled. But, we were free to cancel our orders anytime with a voice-command if we were no longer interested or had found a better deal. And yes, no remembering cumbersome User-ids and Passwords! Just our features like eyes and finger-prints would suffice for our identity! Heightened Security with no more Identity-Theft or cases of Cyber-Stealing! In 2030, eBay was a super-shopping-search-engine. No Google Chrome bar was needed! It was compatible and integrated on all platforms! All this excitement had made me very thirsty indeed. When I went to my Fridge to get some cold water, I found some multi-coloured buttons on it too. No sooner had I emptied the partially filled can of juice, I heard some clicks. Turned back to find the Fridge Door’s button were flashing and so were the TV screen and the Tablet-PC on the Dining Table. All devices were Connected! I picked up the Tablet-PC- It was larger than a mobile phone, but smaller than a laptop as available in 2013. My Shopping-List had automatically got updated with- “Juice”. 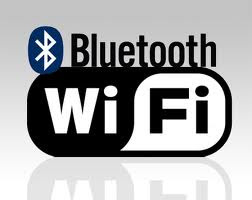 I realized that there was sophisticated Bluetooth & Wi-Fi Technology. If I emptied anything from the fridge or even mentioned that “I need X-Y-Z”, it would automatically get updated in my list! My Tablet-PC was also based on Biometric Technology and greeted me! It was an ALL-IN-ONE device that had all the functionalities! I was amazed to see the intelligent scanner that recognized images, data and text. It provided more info when I simply pointed my Tab and clicked the relevant object! I realized that I could actually find out where the product was manufactured! Truly WYSIWYG (What You See Is What You Get)! In 2030, if I want to buy something, say the latest iPhone-22, I just had to give a voice-command and it would inform me where and when I could expect the best deal. Within seconds, a single voice query of mine got me the info! My Tab served as a dynamic screen flashing 'Breaking Shopping News' and other important information alerts about anything I'm interested in such as best deals, special offers, exhibitions etc. With Augmented Reality, I could try the products as if they were physically on me or in my home! 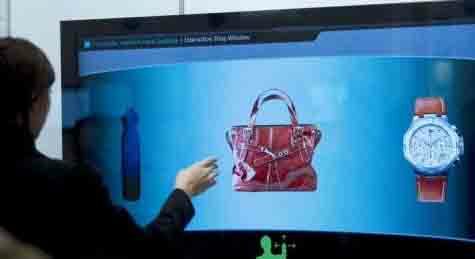 For example, for Apparel Shopping- All I had to do was select the dress I wished; it got scanned on my image and my perfect fit and measurements appeared on screen. I got my Best Fit! 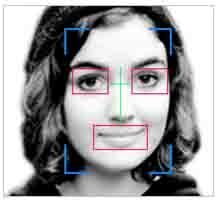 Also, there was Facial Recognition Software that made the screen intelligently guess when I was uninterested or joyful. It then started displaying the ones that I’d truly approve! eBay was suggesting me what I could buy & was actually predicting my behavioural pattern based on my real needs and preferences. eBay was using Neuro Marketing Technology! The images got saved in my ‘Interested Folder’. I could try out a couple of clothes this way and shortlist the ones I really liked. I could even mail a copy of my pics to my Sister or Hubby to get their opinion. This way, I got to try and buy exactly what I wanted! Even gifting my family or friends seemed easy in 2030 as "Try at Home" feature had been fully integrated into eBay. And not just for clothes! I also got to see a real view of a product from different angles and how it would fit in my home! All this while at home! No excess returns, negative reviews or post-purchase-dissonance! Thanks to eBay, I could directly search for the best deals on any product…even grocery-shopping! As it was 4D-Technology, I could even SMELL the item before purchase! 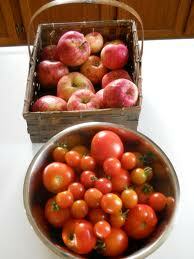 Imagine smelling the tomatoes, apples or perfumes online! I did just that in 2030! Smelled Apples & Tomatoes Online! eBay had also been integrated into social networking sites like Twitter and Instagram where I could now buy, sell, donate or dispose too! Just a simple command- a click, keyword or hashtag would do! I could even order from eBay the yummy cake just from the picture my friend had Instagrammed! The transactions were seamless with such speed, ease & security that I felt truly blessed to be in 2030! I felt empowered by Shopping in 2030- a rewarding experience providing me customized items of exactly what I want rather than what 2013 offers- bombarding me with deals I do not wish/need. *This is a post about how I imagine Shopping to be in the Year 2030. 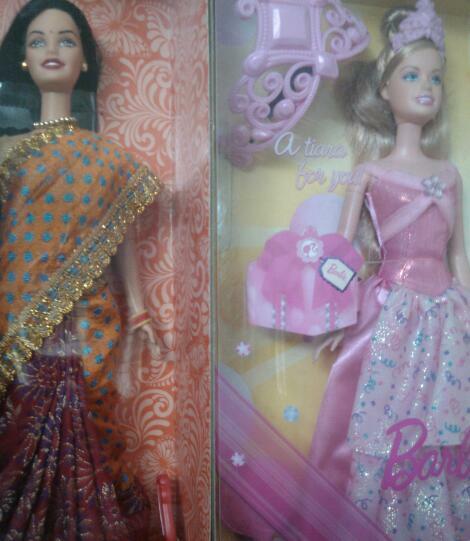 My entry for the “The Future of Shopping” Contest with eBay and IndiBlogger. *Most of the images have been sourced from Google. 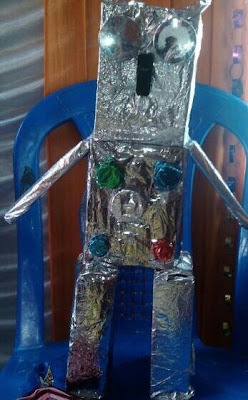 *The Robot – Froby – is what my Kid has made from recycled material! Proud that this Post won the 3rd prize in the Contest. You can see all the entries and the Winners HERE. Woah.How cool is that.This one just made me want to travel in time machine and experience a great shopping. xD Brilliant workl anita seriously. You sure sound excited to have taken the 2030 Shopping Trip with me & the Time Machine! :) Glad you liked my Post! Well, I am completely in sync with most of the vitally important envisaged features in a shopping site....even I have touched a few of them. Glad to see that the spirit of 'inspiration' is not bound by age, type or form..A mere peace of art, fabricated by your daughter, has managed to shape in form of a lovely blog post. Thanks Sammya for your appreciation & motivation! 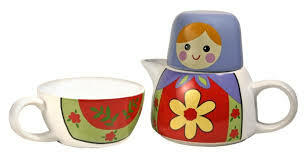 Yes, Froby is the Inspiration for my 2013- 'Present' story that takes me to 2030-the 'Future'! We invite you to Aviva's #BloggerContest. To read our T&C and participate, click on http://bit.ly/134qouZ ! Great that you liked my post! Froby made everything simple for me! Froby is really too adorable- not a thief yet 'rob's hearts! Froby made my kid win the 'Best Out Of Waste' Competition! Congratzzz Anita... You won the 3rd prize for this contest. Wow! Congrats, Anita! Glad that you won! Your entry was really superb! The way Technology is advancing, we all will have our own real Froby soon! Thanks for the encouragement! Glad you liked my Post! Thanks Shubham for stopping by & reading! Thanks for the appreciation! Creative one I would day. You have captured the right essence too.